In an opinion editorial published in ‘The New York Times’, US general McMaster identified three rules to face an erroneous understanding of the character of war that, in his opinion, governs the political and strategic military thinking of the Western World. First of all, he referred to its political dimension, being an instrument of power that must be coordinated with the other available tools the State has at its disposal, so as to achieve the established political objectives. Secondly, he stated that war is a human activity, so different aspects such as social, economic and historical elements should be considered in its development. Today, as in the past, people fight for the same basics that the Greek historian Thucydides identified in his work The Peloponnesian Wars: honor, fear and benefit. His third statement combines the previous two, highlighting that war has an uncertain character, precisely because it has a human and political nature. 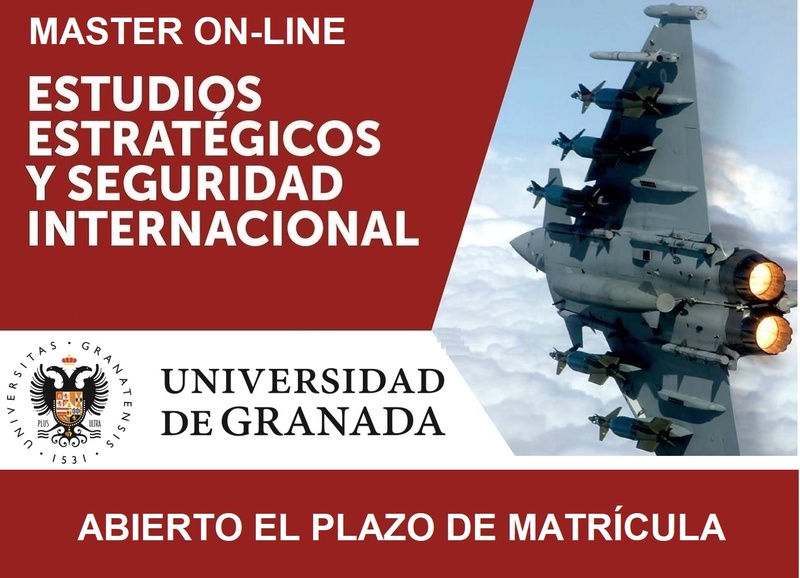 In this way, armed conflicts must be understood as dynamic confrontations between different willpowers making very difficult to predict the outcome. However, in the last twenty years, and owing to the ambiguity that lies beneath the correct definition of conflict, numerous attempts to constrain the "new wars" have appeared. Without claiming to offer an exhaustive list, the most representatives are the ones put forward by Rupert Smith (War Among the People), Martin Libicki (Non-obvious Warfare), Mary Crannell and Ben Shepard (Narrative Warfare), Frank Hoffman (Hybrid Warfare), Charles Dunlap (Lawfare), Qiao Liang and Wang Xiangsui (Unrestricted Warfare), Edward Luttwak (Post-heroic Warfare), William Lind (4th Generation Warfare) or John Boyd and Frans Osinga (Decision Cycle Dominance). This difficulty makes the Armed Forces and in particular the navies to be involved in a constant process of transformation. Sometimes consciously and some other times unconsciously, but in most cases in a reactive way against the existing threats, and in other occasions having to adapt itself to the changes in a given domain or environment. Sometimes these transformation processes give rise to authentic revolutions in the nature of war. This happened with the transformation of the Prussian Army after their defeat by French troops, resulting in the creation of the Staffs. A novelty that, refined over the years, gave rise to a model imported by most armies. In 1742 Frederick the Great made the decision that two thirds of his infantry battalions were to be formed by foreigners. The problems associated with these troops was one of the main concerns of Frederick II; namely the desertions, which led him to write, between 1748 and 1756, the "General Principles of War" in which, often, tactical considerations were subordinated to the need to prevent, precisely, the desertions. On the other hand, the French Army consisted mainly of indigenous troops who maintained a high disposition for combat. The dissimilarities between both armies are far clearer if we pay attention to the officers’ corps. France had professional officers chosen for their competence, whereas Prussia still recruited officers elected under social class principles. The shortcomings of the Prussian model led, after the defeats suffered between 1792 and 1795, to the establishment of the Kriegsakademie: a training center teaching both, theory and practice of war. Its superintendent, General Gerd von Scharnhorst, and his collaborators, perfectly understood the operational flexibility provided by the new organization based on corps d'armée. But they went beyond the organization of the Army itself to pay more attention to a unified and more flexible use of force. However, the process of change in the culture of organizations was not immediate. 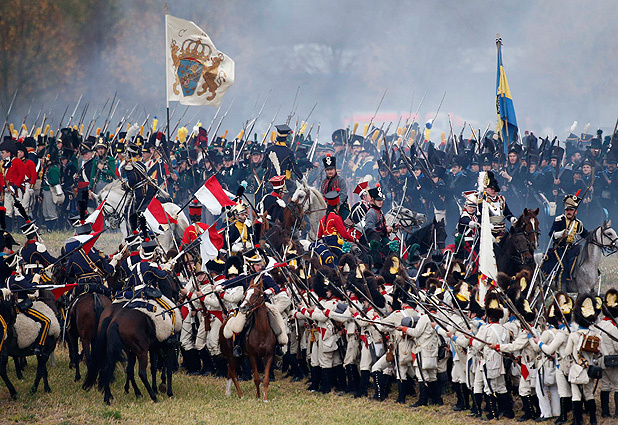 Thus, in 1806 the Prussian Army confronted the French at the Battle of Jena-Auerstedt. In that battle the operational objective of the French Army was to obtain a decisive victory over King Frederick. Napoleon ordered his field marshals Ney and Augereau to flank the Prussian Army of Prince Hohenlohe, while marshal Davout completed the siege of a demoralized Prussian Army. At dawn of October 10th, Prince Hohenlohe was perfectly aware of situation and before four o'clock in the afternoon his defeat had been complete without the need for half of the French soldiers to have used their weapons. The defeat brought about for the Prussian army 10,000 casualties and more than 3,000 prisoners, including Carl von Clausewitz. The victory of the French Army was based, essentially, on the speed and movements of its units from directions which the Prussians had not anticipated and were then unable to react, denying them the possibility to fully understand the operational environment. The Prussian humiliation, derived from the subsequent Peace Agreement signed in 1807 limiting the size of its Army to a maximum of 42,000 soldiers, served to spur the reform movement within the Armed Forces. A reform, started after the painful defeat of Jena-Auerstedt, that in just a few years generated a totally different army, made up by truly professional soldiers who thought by themselves. It was a pioneering idea that gave rise to the birth of the military Staffs. Under this system, each operational field commander had a Chief of Staff close by as the main military adviser. All had gone through the same academies, had the same attitude and managed to make, curiously enough, similar recommendations when analyzing identical situations on the battlefield. The commander still had the ultimate responsibility for the actions but the best Senior Officers carefully listened to their Chiefs of Staff. General Scharnhorst implemented his reform on three fundamental pillars: the organization of the army, the selection and training of officers, and the way to conduct the operations. Finally, in 1809 the Prussian Army had already completed its transformation. The resulting army was much more flexible and was also based on an adaptable organization. However, it was still necessary to inoculate a true combat spirit in this new army. Scharnhorst and his followers were reformers but not revolutionaries, so they rejected the idea of a social revolution in favor of fostering a national pride or legitimacy among the population. This pride came after the French defeat at the Battle of Leipzig in 1813. This national pride ultimately led to the creation of Germany and a defense of nationalist positions of chauvinist character. The Battle of Jena-Auerstedt is not an isolated example in history. There are countless events of failures that led to real transformations of organizations. What it really makes the difference is the way in which defeat and failure are tackled. Leadership, or lack of leadership, is the most critical factor for the success or failure of organizations.